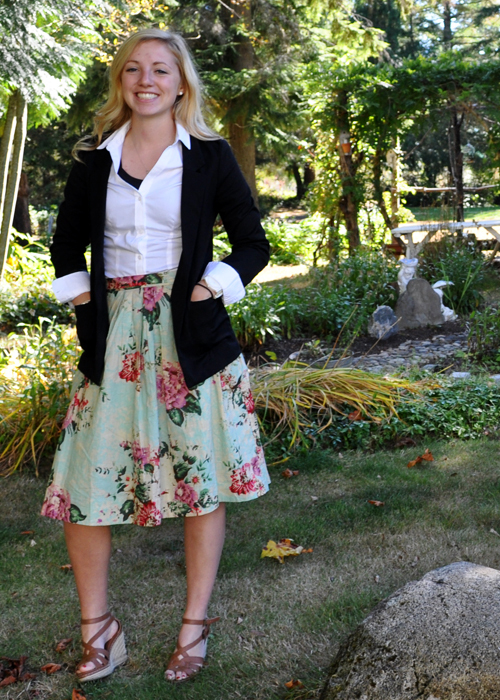 ' Savy Sister Sierra [Missionary Style] - Sisters, What! She left in October and we are all so excited for her and love every single email that she sends. Before she left we took tons of pictures of her in all her missionary outfits. Which, was slightly awkward for her, but she's a champ at smiling through awkward moments. In order to keep her alive on this blog for 18 months, we've decided to do a Savvy Sister Sierra [Missionary Style] day once a month. 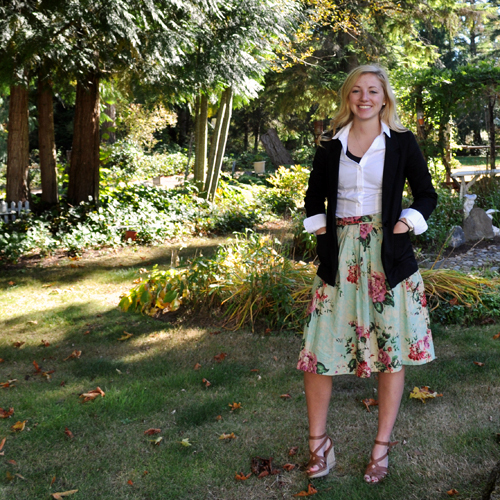 Sierra definitely knows how to mix and match; make any floral skirt business style by wearing on top a collared button up shirt and a black business jacket on top. Serious and sassy. Wow this is so awesome, I just got my call about 2 weeks ago and I am going to Kennewick Washington as well, except spanish speaking! I am super excited :) I report to the MTC very soon, february 27th! Maybe I will see her out there? If she has any tips or any thing that would help me prepare to serve there that would be great if you could let me know :) Good luck to her! That so great that you're going to Kennewick as well. Sierra loves it there so far. I'm sure you'll see her while there. You'll have to tell her hi from all of us. I'll ask her for any tips she might have.